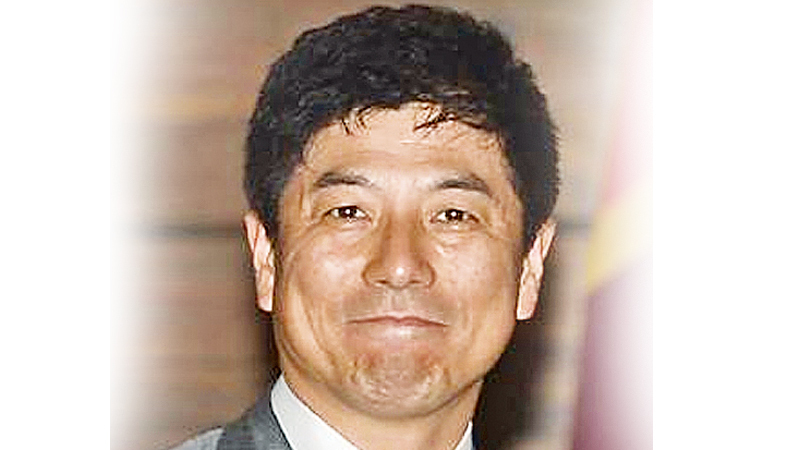 State Minister of Foreign Affairs of Japan Kazuyuki Nakane visited Sri Lanka from August 28 -30 to participate in the commissioning ceremony of the two coast guard patrol vessels donated by Japan to Sri Lanka at the Port of Colombo. During the visit, State Minister Nakane called on Prime Minister Ranil Wickremesinghe and Acting Minister of Foreign Affairs Lakshman Kiriella, and also met with Plantation Industries Minister Navin Dissanayke and the Secretary to the President Udaya R. Seneviratne. The two coast guard patrol vessels, "SLCGS Samudra Raksha" and "SLCGS Samaraksha" were donated to Sri Lanka by Japan as part of the Grant Agreement signed between Japan International Cooperation Agency (JICA) and the Government of Sri Lanka, based on the joint declaration on the comprehensive partnership between the two countries. These patrol vessels will add to the capacity of the Sri Lanka Coast Guard in its activities related to maritime safety, maritime law enforcement, Search and Rescue (SAR), mitigation of disaster risks, and environment protection. The Japanese State Minister briefed the Prime Minister and the Acting Foreign Minister on the Women, Peace and Security (WPS) Partnerships Initiative of the G-7, where each G-7 Member State selects a partner country to provide targeted assistance to advance the Women, Peace and Security Agenda through enhanced G-7 coordination, in accordance with the relevant United Nations resolutions.